Heart of Telluride rooftop penthouse deck. 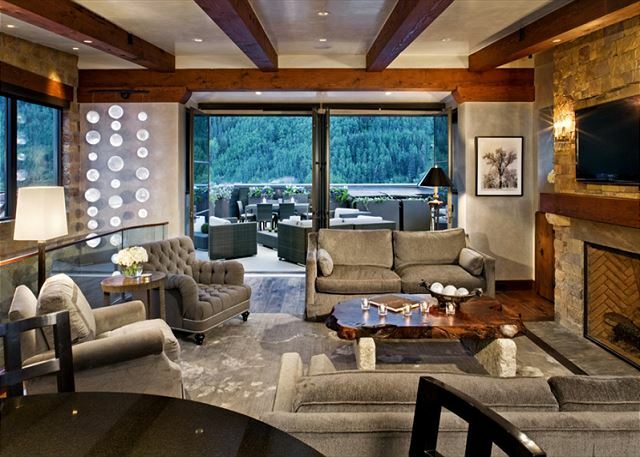 Heart of Telluride is Ultimate Luxury. Luxurious Master Suite with King Bed, 40" HD flat screen TV and exquisite Couture Frette Linens. Heart of Telluride has extraordinary views in every direction. Private rooftop deck with Wolf grill and the largest hot tub made. 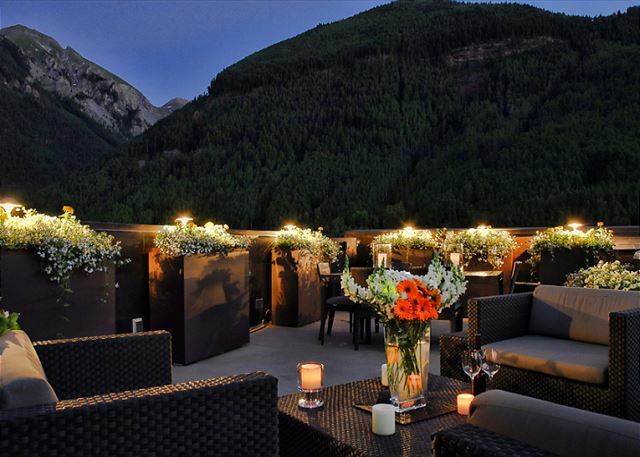 The highest outdoor rooftop deck in Telluride. Second Master Suite with King bed, fireplace, 40" HD flat screen TV and Couture Frette Linens. Exceptional outdoor living furniture and décor. The Heart of Telluride building is ideally located on the Main Street in Telluride. 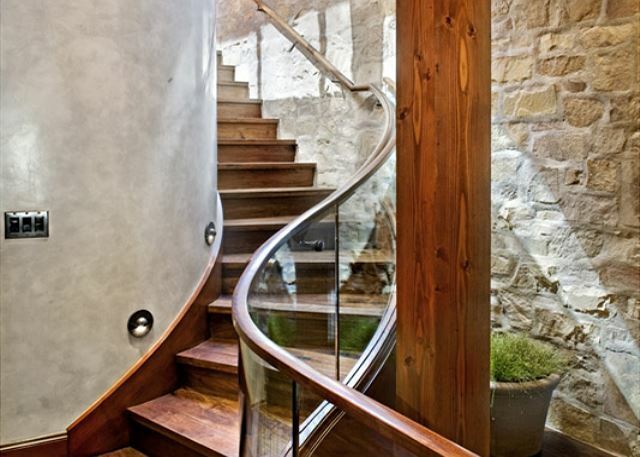 Curved glass and wood stairway lead to your great room and private rooftop deck. 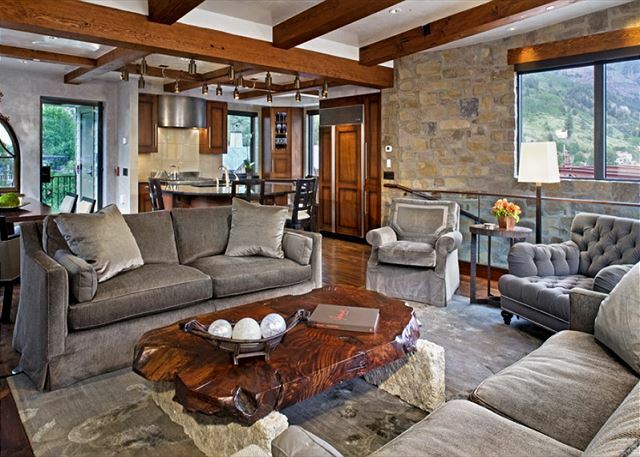 Spacious and comfortable Heart of Telluride great room with stunning views. Spacious Master Suite with see through fireplace. 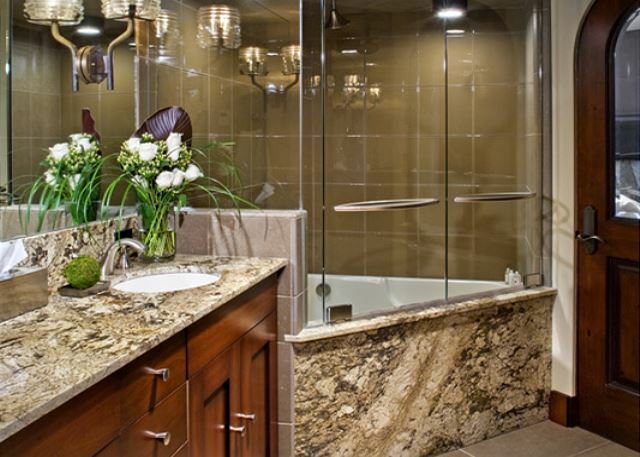 Master Suite bathroom with fireplace, double vanity, over sized soaking tub and steam shower. Third master Suite with King bed, fireplace and Couture Frette Linens. Your heart will skip a beat at Heart of Telluride. The comfortable and luxurious great room. Luxurious great room with fireplace and glass doors opening to your private rooftop deck. Luxurious outdoor living on the rooftop deck with views of Bear Creek. An abundance of flowers, spring, summer and fall on the rooftop deck. 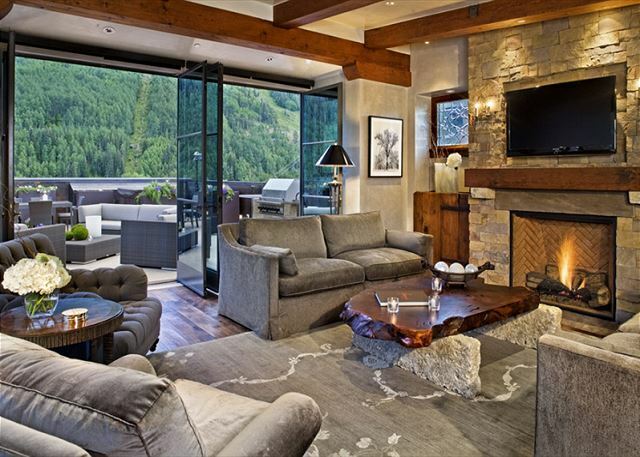 Heart of Telluride is known as one of the finest vacation rentals in Telluride with jaw-dropping views from one of the highest decks in downtown. The deck provides a spacious outdoor living area, complete with a 7-person hot tub, dining and grilling area, comfortable lounge seating, music and beautiful florals in the summer. 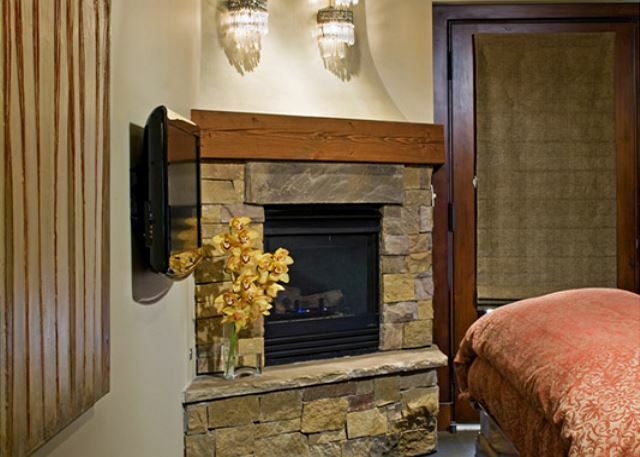 Heart of Telluride will pamper the most discriminating guest. A second unit can be added to make this penthouse a 4 bedroom, 5 bath vacation rental or you can rent the one bedroom luxury condo separately. 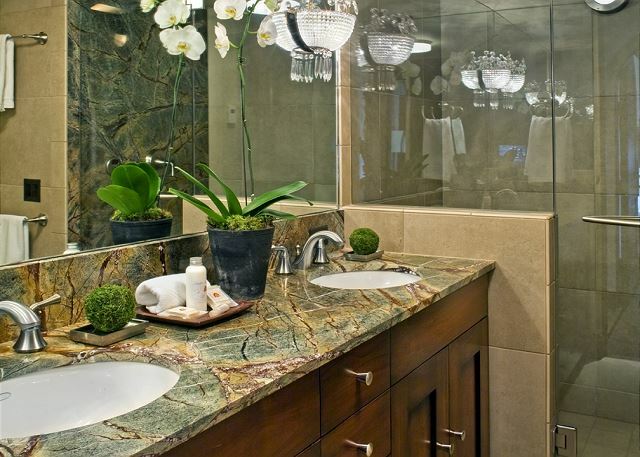 Each guest suite has a fireplace, 40" high definition TV, exquisite linens and Ipod docking station. Bath amenities include locally handmade bath shampoo, conditioner, soap, lotion and lip balm. Slippers and bathrobes. No car is necessary because everything is within walking distance. If needed, there's complimentary private parking behind Heart of Telluride. No problem getting to Mountain Village either. The free gondola will take you on a 13 minute ride to the town of Mountain Village. You may use Telluride's free transportation via the Galloping Goose which loops through town every 15 minutes, the main pick up is located right outside your door. The gondola operates from 7 am to midnight daily. Reserve your luxury vacation rental today!